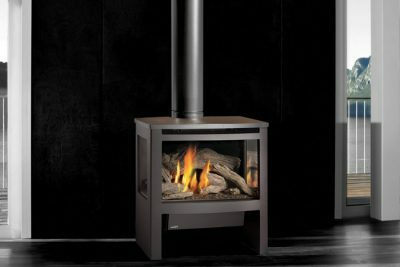 The 864ST GS2 maintains this tranquility with a perfect balance between the firebox, logs and flames. 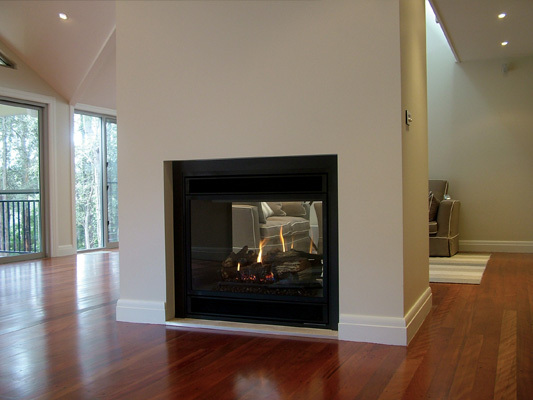 The logs and fire have been carefully designed to give you a different look from either side. 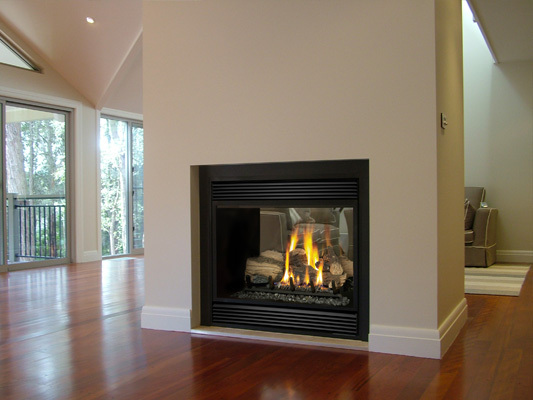 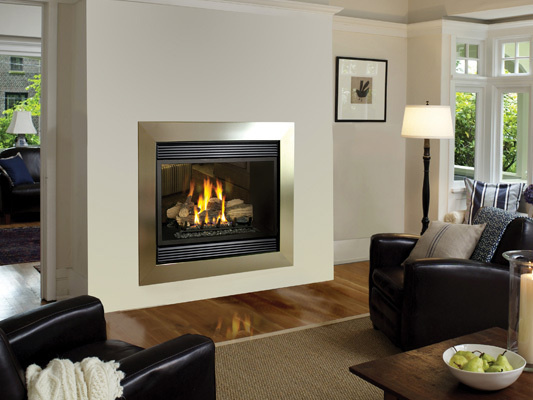 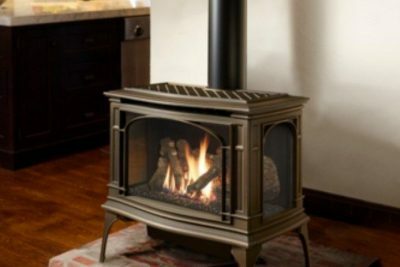 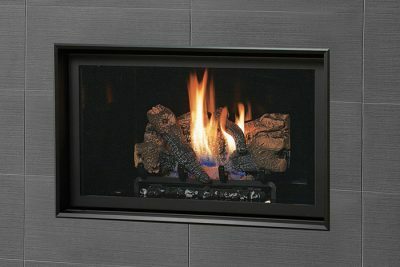 Compare the amazingly realistic nine piece logset with any other see-thru fireplace on the market! 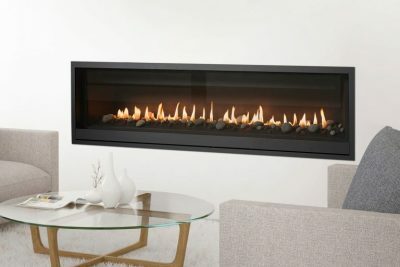 The unique split-level Dancing-Fyre™ burner will give you a warm, yellow fire with glowing embers that your friends and family will have a hard time telling apart from a real wood fire. 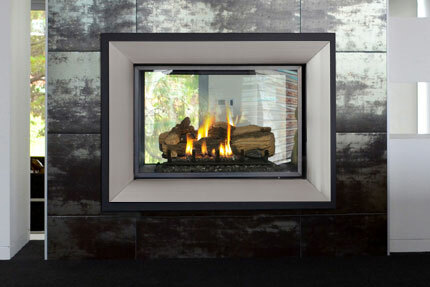 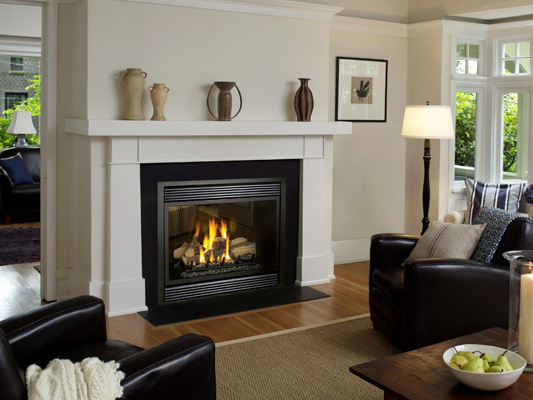 The 864ST GS2, a fireplace with two points of view. 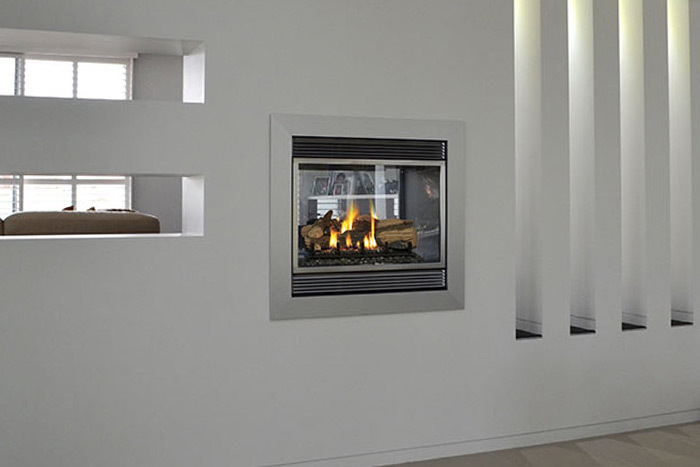 You can personalise each room using a different face on each side of the fireplace.